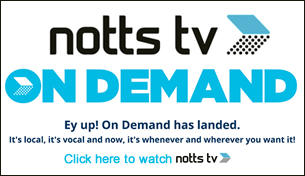 Nottingham – Let’s Keep it Clean! Our Keep it Clean campaign aims to make Nottingham an even cleaner city and a nice place to live. 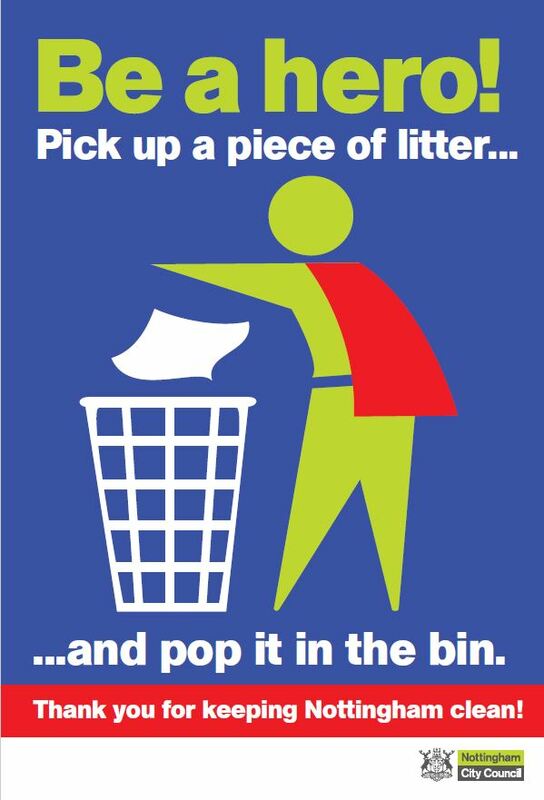 Dog fouling, dropping litter or dumping rubbish (fly-tipping) are totally unacceptable. Dog poo, litter and fly-tips are a dangerous, unsightly blight on our streets, parks and neighbourhoods. 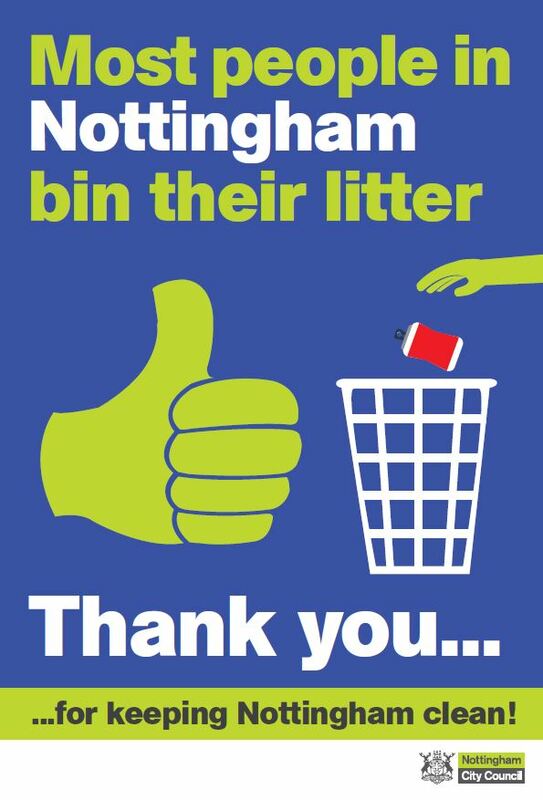 We at Nottingham City Council are committed to keeping your streets clean and free of litter through our constant street cleaning work, and by cracking down on fly-tipping and littering offences. But this work takes the council a lot of time – and costs lot of YOUR money as taxpayers. In 2016, we spent over £71,000 clearing up dog poo and over £331,000 removing illegal fly-tips. That’s money that could otherwise have been spent on improving your city. Report an enviro-crime (link to report it page on our microsite, not form just yet) – tell us about litter, dog fouling or other problems. We’ll sort it out quickly, and we’ll investigate where possible. 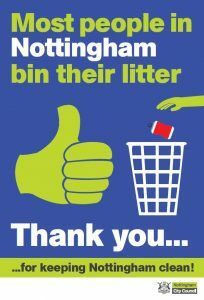 Become a Clean Champion – Nottingham wants to support the hundreds of community-minded people who pick up litter in their neighbourhoods. Register for the scheme and we’ll send you high vis jackets, litter picks, gloves and bin bags, and help you dispose of the rubbish you pick up. We will continue to take strong action, issuing fines and prosecuting offenders who fail to pay. See online who we’ve prosecuted.